This is one of the newest launches to be installed on Lake St. Clair. It gives terrific access to the north section of the Mile Roads. It loads up quickly in the morning but the new “overflow” parking has made it more likely that you can get a space. There are three ramps and a bit of distance to walk back from your vehicle once you launch. 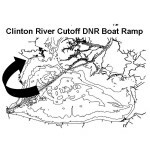 This ramp has a tendency to collect silted water and floating weed. This is, without a doubt, the busiest public access on Lake St. Clair. 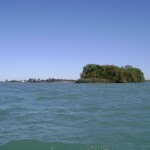 It has the most launching positions, parking and is located in a corridor between Anchor Bay, Lake St. Clair Metropark and access to the channel system of the St. Clair River. 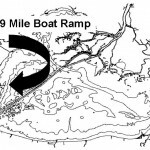 A hard-surface ramp with sufficient water depth and lake or impoundment size to accommodate all trailerable watercraft (minimum of 2.5 – 3 feet deep at a distance of 20 feet from shore). The site is signed. This ramp was updated and expanded in 2015. 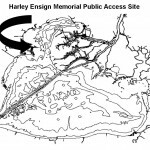 With quick access to Anchor Bay this ramp has a large number of spots and it is likely that you will find parking on most days. The ramp has at least five docks and well organized traffic flow. 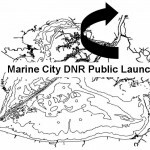 The Angler’s Point Marina bait shop is directly across the street from the entrance to the launch. 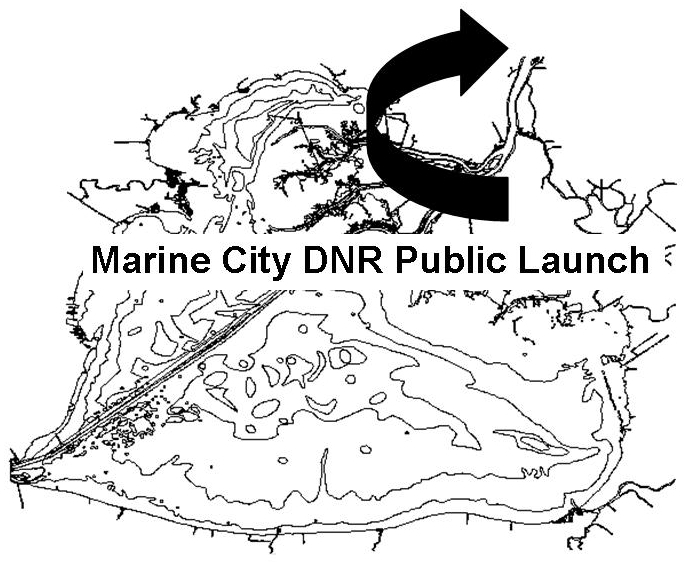 You will launch into a shallow bay that is comprised of sand and weed. 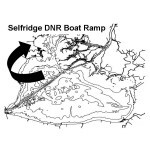 To the south you have Selfridge AFB, Belle Maer Marina, Belvidere Bay and the Harley Ensign launch. 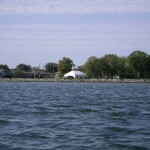 To the north you have Cotton Road, Goulette Point, Brandenburg Park, Fair Haven, Grassy Island and the North Channel.